The world we create, our "human world," is not just physical. It is not just buildings and infrastructure. The institutional realities within which we live are our creations, too. Pictured are Joe Cotchett and Phil Angelides. I know both of them, at least a little bit, and they are both "good guys." 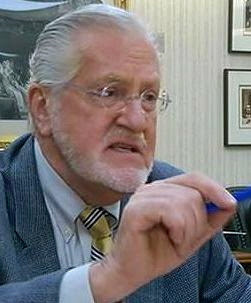 Cotchett is a renowned trial lawyer. 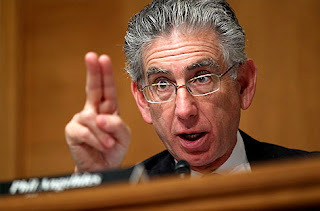 Angelides was formerly the California State Treasurer, and has most recently served as the Chair of the Financial Crisis Inquiry Commission. Last Sunday, in the San Francisco Chronicle, Angelides said that "unprecedented wrongdoing" precipitated the financial crisis of 2008. 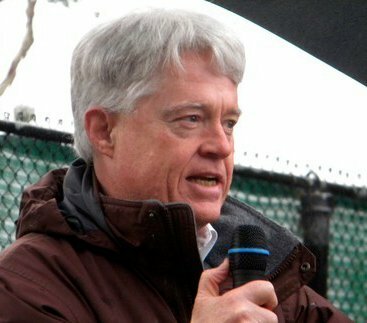 Cotchett quoted Thomas Jefferson's saying that "banking institutions are more dangerous to our liberties than standing armies." His article was titled "Someone must go to jail in financial fraud cases." How did we get here? Angelides is undoubtedly correct that "unprecedented wrongdoing" precipitated the financial crisis that has stripped millions of people of their homes, and that has wrecked our economy. But while most of us probably agree with Joe Cotchett that "someone must go to jail," who actually believes that will happen? We got to where we are by delegating to others the creation and construction of the institutions that define our world. We had to bail out the banks "too big to fail," because the banks built the system, and frankly, only the bankers understood it - to the extent that even they understood or understand it. The outcome of our money-dominated politics is that the ordinary people who are supposed to be in charge of the democratic processes by which we legislate realities are actually ignorant of the basic principles upon which that world is premised. I am definitely speaking personally. It is profoundly discouraging to me to realize that I don't actually know what's going on. I don't really have enough understanding of how our economic world works to have an opinion that I feel comfortable in advancing, or acting upon. I doubt that I am alone. In our system, you are not supposed to be able to put someone in jail unless you can prove (beyond a reasonable doubt) that they violated a clear and legally-binding law or regulation. I want that standard applied to me, and so I have to concede that it should be applied to the bankers who brought down our economy. And can I prove my case? I can't. We are told that the world is too complex for easy answers. But if the world we have created, or have allowed others to create, is too complex for ordinary people to understand, we are doomed to the kind of corrupt manipulation that has caused the financial crisis upon which both Cotchett and Angelides focus. I hate to say it, but I don't think our politics is going to get appreciably better until we determine that we will not let highly-paid "experts" be in charge of how our world works. Unless we demand that our economic institutions be so simple and straightforward that we all understand them, then we will continue to be economic victims. And no one is going to go to jail.